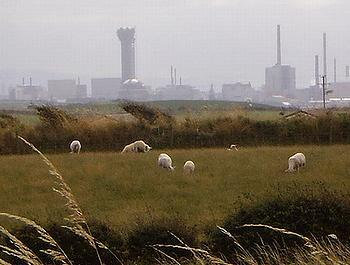 LONDON, UK, August 5, 2011 (ENS) – The UK’s Nuclear Decommissioning Authority said it will close the Sellafield Mixed Oxide Plant bordering the Irish Sea on England’s west coast. The plant was built to to reprocess the civilian plutonium at Sellafield, the biggest stockpile in the world, by mixing it with uranium to make MOX fuel for nuclear power plants. Japan was Sellafield’s biggest customer but MOX orders from Japanese utilities have stopped after the crisis at the Fukushima Daiichi nuclear plant, damaged by a massive earthquake and tsunami that struck Japan on March 11. Since September 2010, one of the six reactors at Fukushima Daiichi had been fueled by six percent MOX fuel, rather than low enriched uranium used in the other reactors. 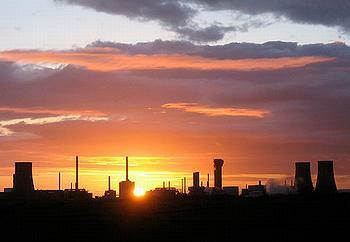 Announcing the closure Wednesday, the Nuclear Decommissioning Authority said “in order to ensure that the UK taxpayer does not carry a future financial burden from SMP that the only reasonable course of action is to close SMP at the earliest practical opportunity.” The Sellafield MOX plant has so far cost British taxpayers £1.34 billion. Under the ownership of Nuclear Management Partners, Sellafield Ltd. is the company responsible for handling decommissioning, reprocessing, nuclear waste management and fuel manufacturing activities on behalf of the Nuclear Decommissioning Authority. Now the government is considering building a second MOX fuel plant at Sellafield to convert the plutonium into fuel to be burned in a new generation of British nuclear reactors. The local Labour MP Jamie Reed, a former Sellafield employee, said he intends to press the government for a decision on a second MOX plant as soon as the House of Commons returns from its summer recess. Trade unions said a quick decision on a second plant would help to save an estimated 600 jobs. But nearby cities welcomed the closure of the Sellafield MOX plant and said a new plant would be a bad idea. “The Japanese nuclear industry was the only major customer of the Sellafield MOX plant and the closure of two thirds of that industry, and continued public pressure for these reactors to remain closed, provides little economic reason for keeping the Sellafield facility open,” said the NFLA. The NFLA said radioactive discharges from Sellafield’s reprocessing plant into the Irish Sea has been a long-time cause of tension with the Irish government. The reprocessed waste holds the potential for nuclear terrorism given that it is transported by ship over thousands of miles, with all the risks that entails. A shipment is now on its way to Japan, in a move opposed by Caribbean governments because it is traveling through the Caribbean Sea. “I hope the people who work at the MOX facility can be usefully placed on the decommissioning of this plant and other facilities at Sellafield to make it safe for generations to come,” Regan said. On August 8, the NFLA will publish a policy brief showing how a sustainable energy policy will provide “more than enough energy without recourse to new nuclear power,” allowing for the safe decommissioning and storage of the existing nuclear legacy. The Sellafield site has been operational since the 1940s, when it was used as a Royal Ordnance factory supporting the Allied war effort in World War II. The site is the site of the world’s first commercial nuclear power station, Calder Hall, which operated successfully from 1956 to 2003. Today the site holds a wide range of nuclear facilities, including redundant facilities associated with early defense work, as well as operating facilities associated with the Magnox reprocessing program, the Thermal Oxide Reprocessing Plant, the Sellafield Mox plant and a range of nuclear waste treatment plants.